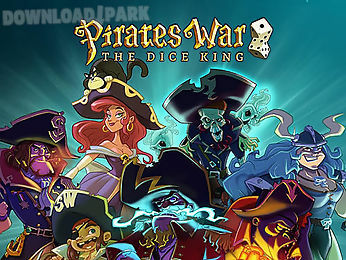 The description of Pirates war: the dice king: Throw dice and move the team of pirates across the playing field. Fight against other pirates and seize new lands. 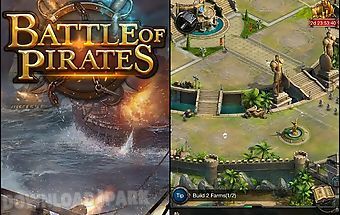 Discover new lands and conquer oceans in this android game. Try your pirate luck. The dice throw will determine the place where your team goes. Hire brave seamen and fearless captains. Buy excellent pirate ships. 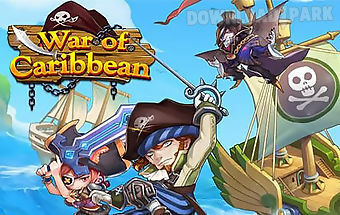 Fight against pirates from all over the world and win applying unique skills of your team. 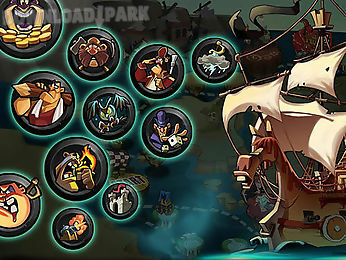 Try various combinations of captains and ships. 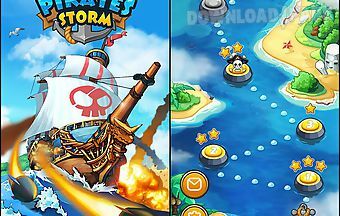 Game features:nice graphicsmany pirates and shipsfight against other playersdifferent game modesthe game requires an internet connection..
Embark your own sailing ship and go looking for adventure that await you in stormy waters of the southern seas. Become a renowned masters in this game for android. Build..
Command your own pirate ship. Get a party and look for adventure. 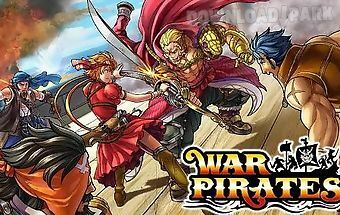 Fight monsters and other pirates. 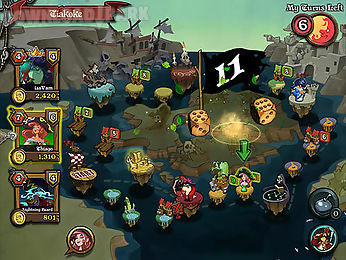 Furrow the seas and oceans of this game for android with your crew. F.. The best solution if there is no real dice around. 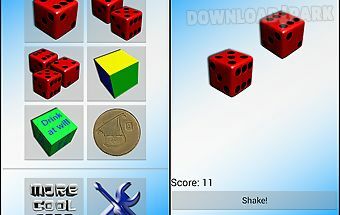 Allows you to choose a number of dice to play with. 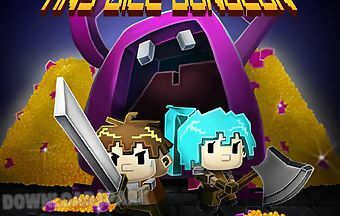 Allows throwing dice with shaking the mobile device for more real ..
A fascinating game where you should investigate dangerous vaults overflowed with awful monsters. 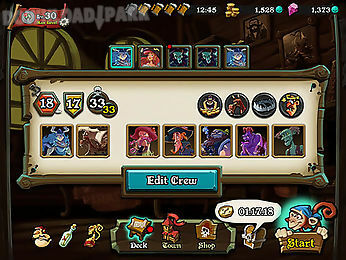 Game features: development of characters battles with bosses tame monste.. Lets play a classic game in a new look. Well known rules in two variants of game play. Collect pips and win by strategy and forward thinking.Lets dice. 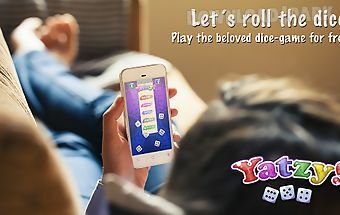 You know the game..
Yatzy! Dice game combines all versions of the rules into one wonderful game. The straightforward gameplay and intuitive operation guarantee gaming fun from the first dic..
descent.Game features: large e controlsrealistic graphics? 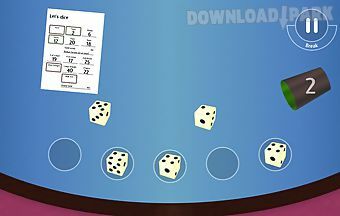 Various s tze of dicesimple con. 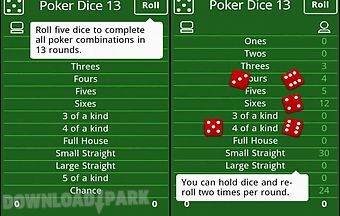 Five dice to complete all combinations of poker in 13 rounds. You can keep dies and re roll twice per round. 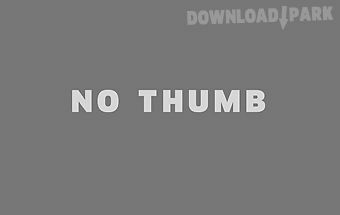 Select the best personal score in n and try of beating the c..